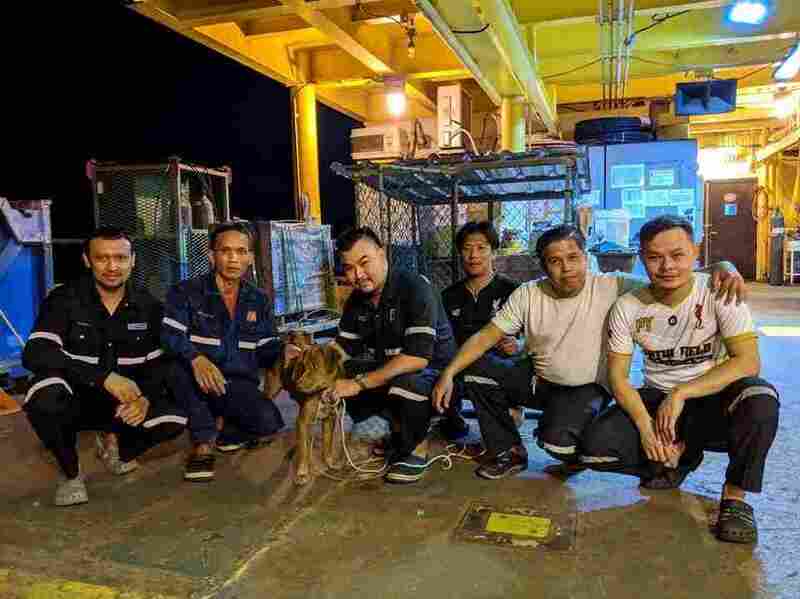 The rescued dog appeared to be growing stronger on the oil rig before he made his journey back to shore. 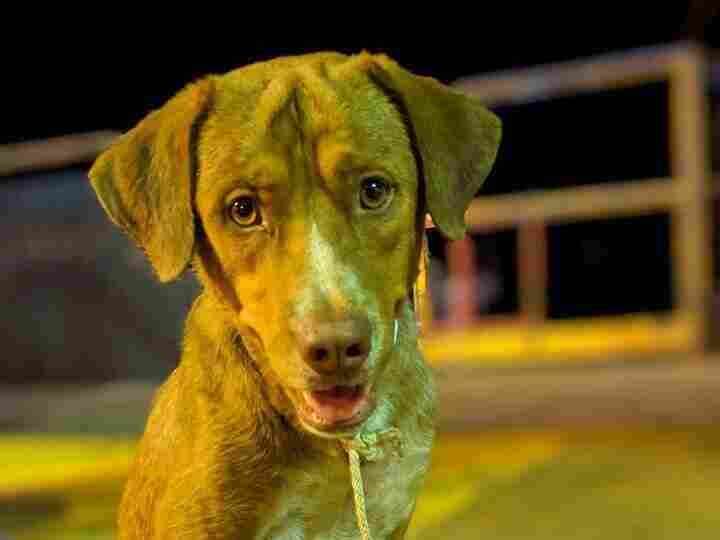 Workers on an oil rig about 135 miles offshore from southern Thailand noticed something stunning in the water: a dog. The animal swam toward the rig’s platform and clung to it as team members tried to figure out how to save him, Vitisak Payalaw, an offshore planner for Chevron Thailand Exploration & Production, told NPR. Video that Payalaw posted on Facebook shows the shivering animal partially submerged in water, staring up at the workers. Payalaw said he and three members of his team spent 15 minutes working to secure the dog with a rope and pull him up to safety. They were racing against time, he said, because the seas were becoming rougher. 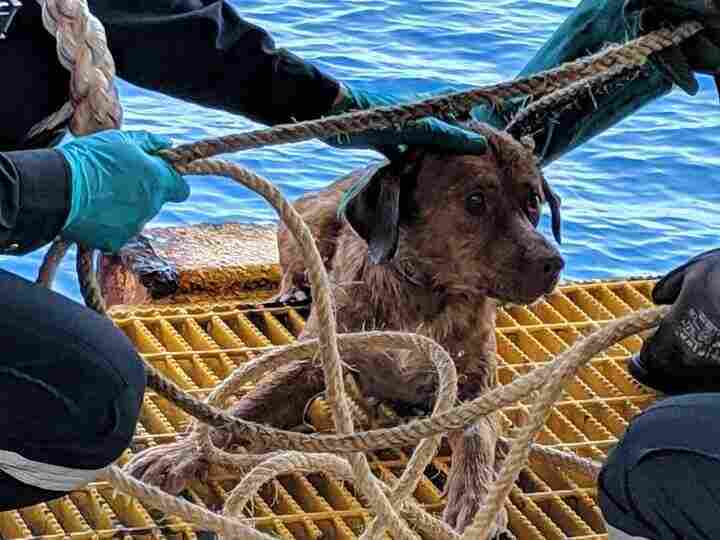 The oil rig workers used a rope to pull the dog to safety. In the first photos Payalaw posted, the dog looks exhausted — “especially on his eyes” — and despondent. Workers provided him with water and pieces of meat on the deck of the rig, and they set up a kennel for him indoors. Boonrod appeared to be steadily growing stronger, after eating and napping. After a day and a half, he looked happy and alert — and he was clearly popular with the oil rig team. Boonrod poses with oil rig workers in the Gulf of Thailand. Photos posted by the organization showed a triumphant-looking Boonrod being greeted by rescue group workers and veterinarians. They placed a fetching bright yellow floral wreath around his neck as Boonrod flashed a bright smile. The dog was later shown receiving a bath, playing with admirers and eating treats. Boonrod’s streak of good luck seems set to continue. Payalaw says he’s going to be working on the rig until the end of April, but when he gets back to shore, he plans to adopt the dog.